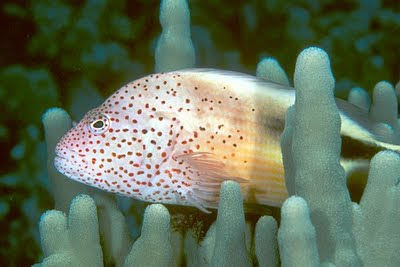 The Freckled Hawkfish or Paracirrhites forsteri is just one of the over 30 species of Hawkfish on the planet earth. 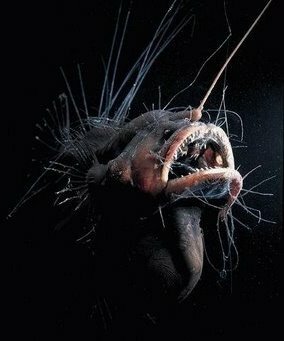 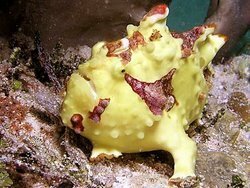 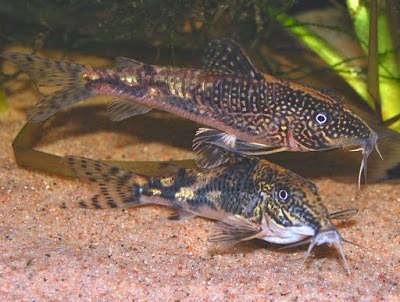 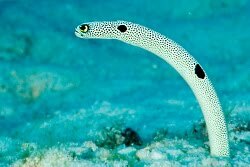 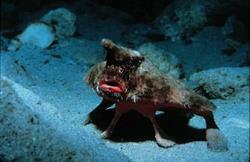 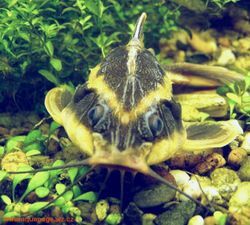 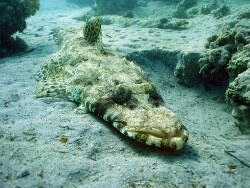 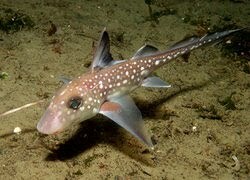 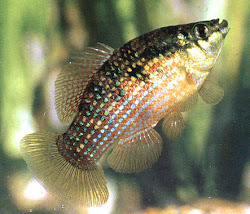 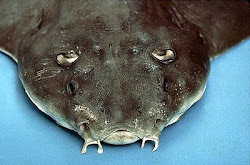 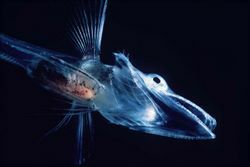 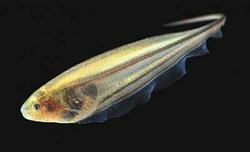 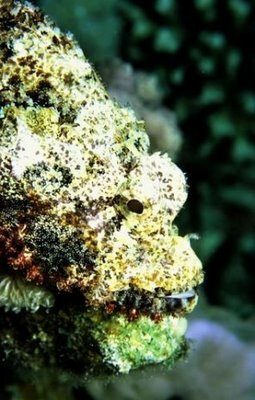 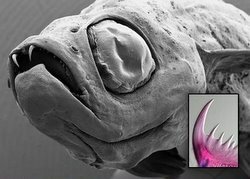 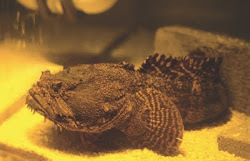 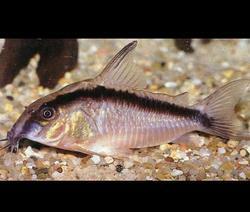 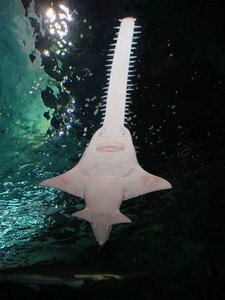 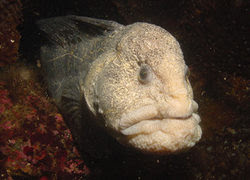 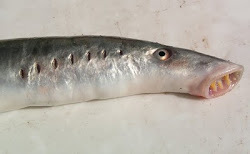 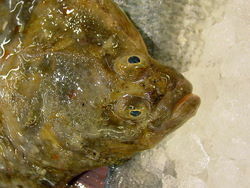 As you can see in the pictures, this species gets its name from the freckles that cover their faces and heads. 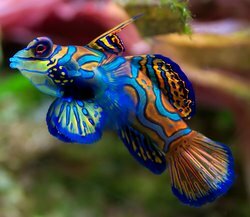 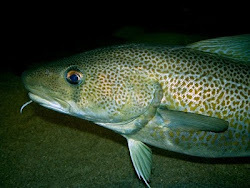 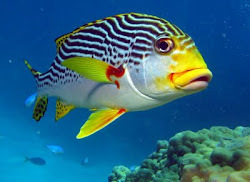 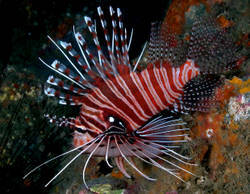 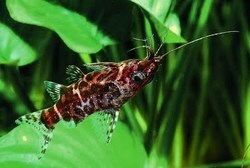 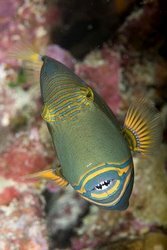 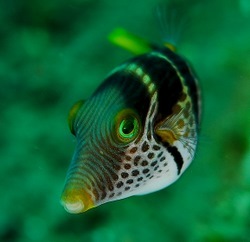 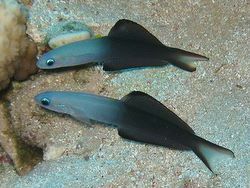 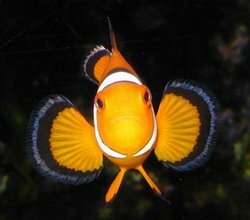 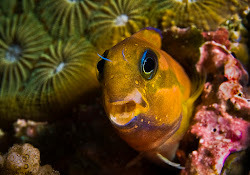 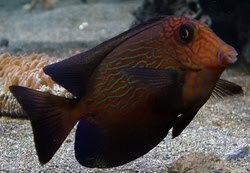 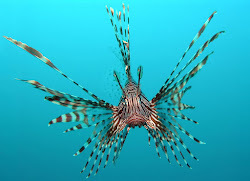 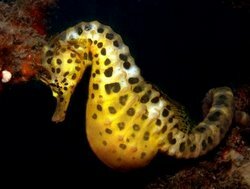 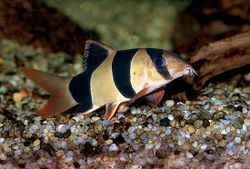 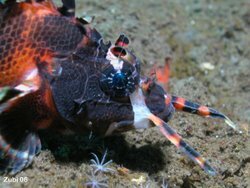 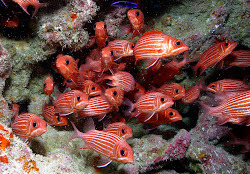 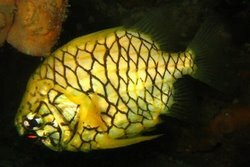 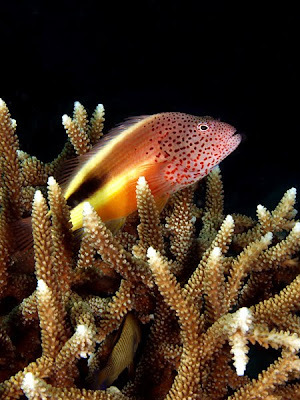 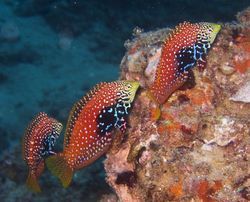 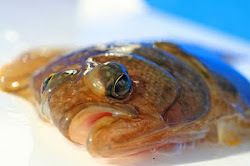 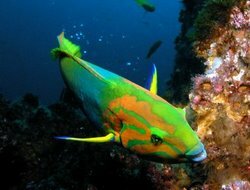 These saltwater fish go by a couple different names as well including the Forster's Hawkfish, and the Blackside Hawkfish. 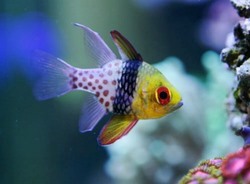 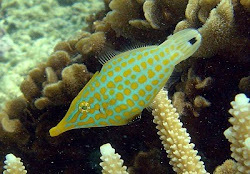 Freckled Hawkfish are often kept in an aquarium and should be purchased when they are young to fully appreciate them. 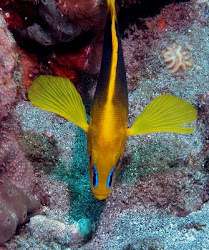 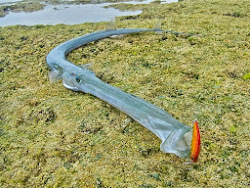 When they are juveniles this fish will often be burgundy with a yellow tail. 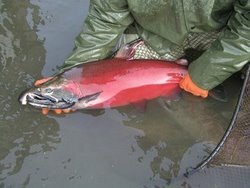 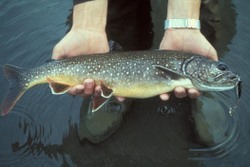 As they grow older, they can become brown, pink or olive in color. 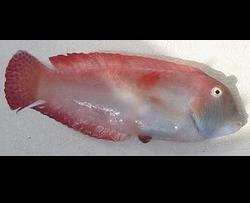 One thing that stays the same though is the red freckles that make this fish easy to identify from other Hawkfish. 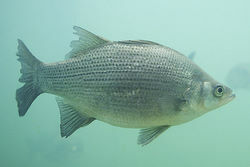 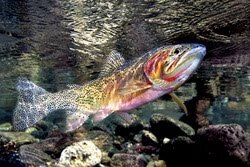 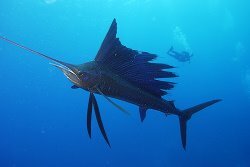 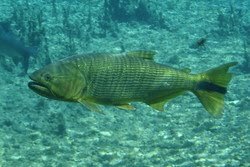 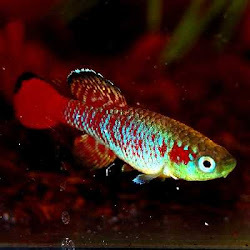 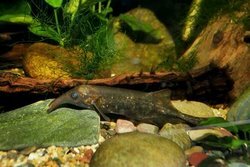 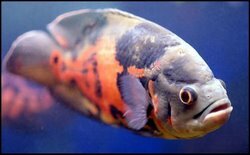 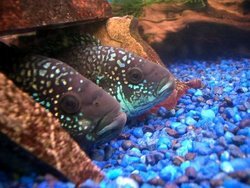 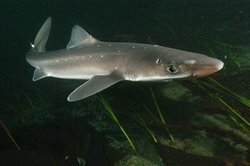 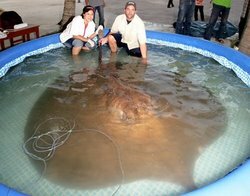 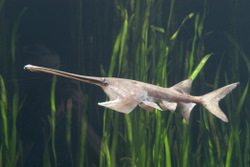 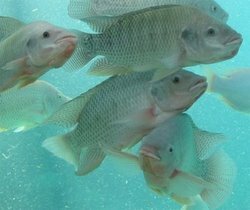 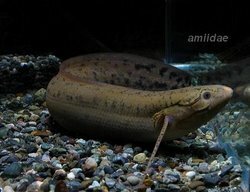 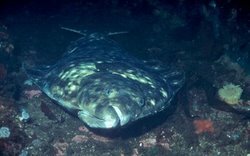 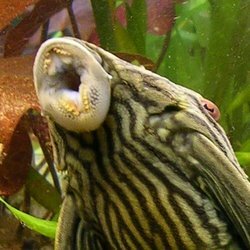 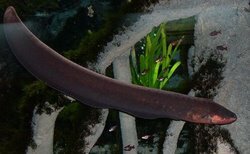 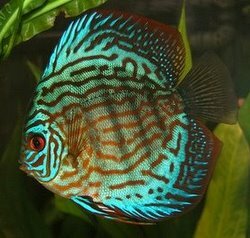 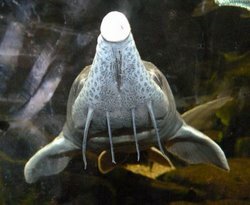 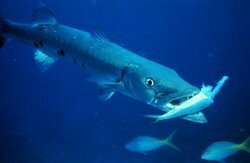 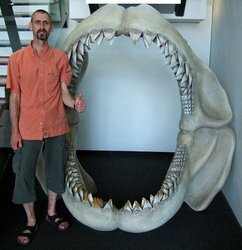 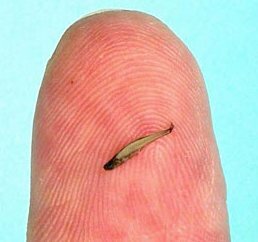 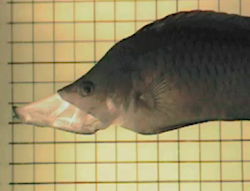 These fish can become quite large for an aquarium, growing to about 9" in length, so an aquarium of at least 80 gallons is highly recommended. 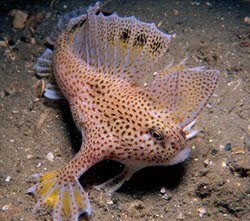 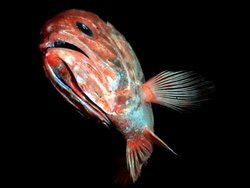 Freckled Hawkfish must have gotten picked on a lot in their past lives, because this fish will harass almost all other fish, even ones much bigger than it! 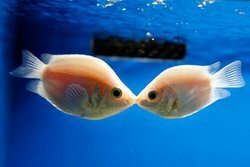 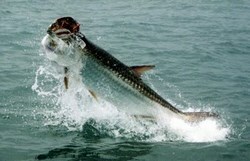 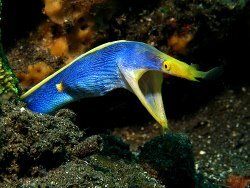 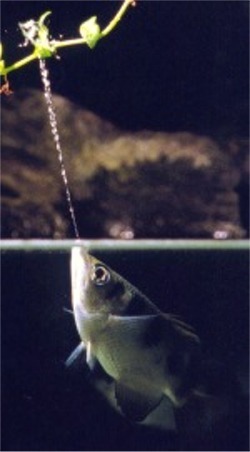 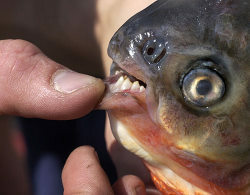 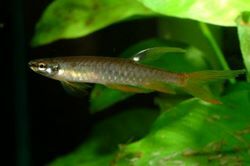 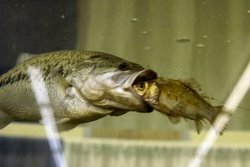 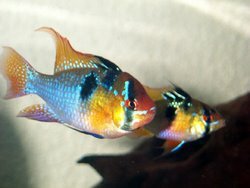 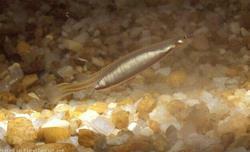 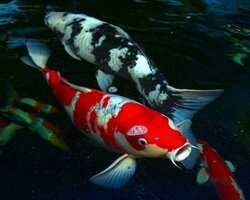 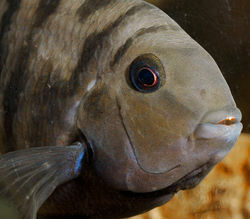 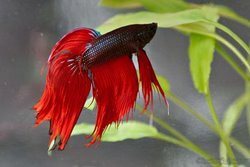 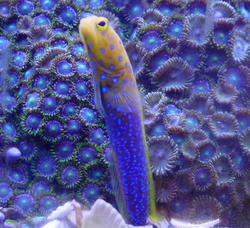 If you are keeping it with other aggressive fish be sure to introduce it last to the tank. 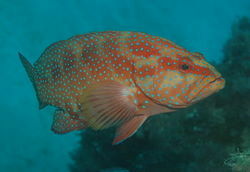 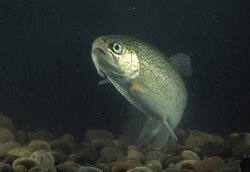 The following water conditions are recommended for this type of Hawkfish, 72-78° F, dKH 8-12, pH 8.1-8.4 and sg 1.020-1.025. 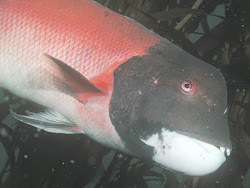 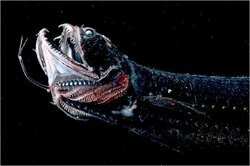 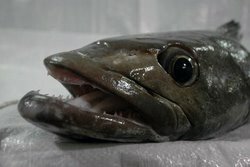 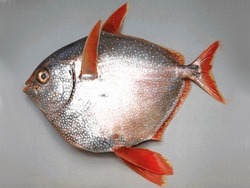 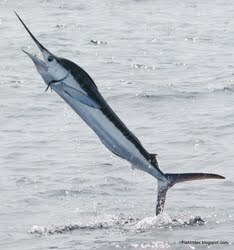 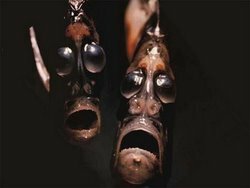 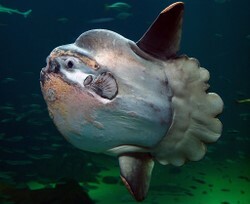 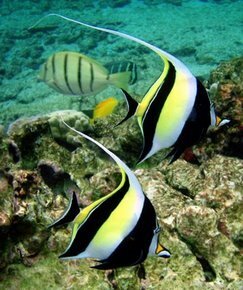 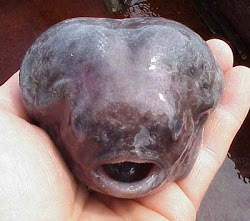 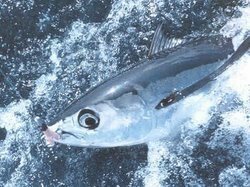 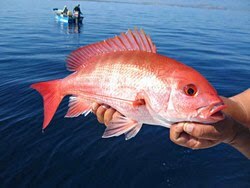 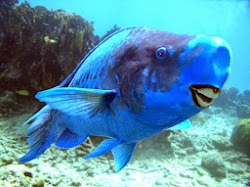 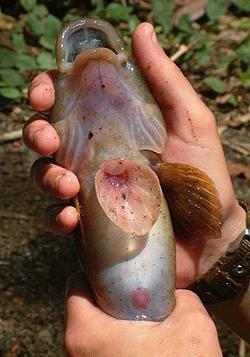 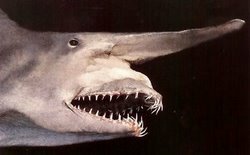 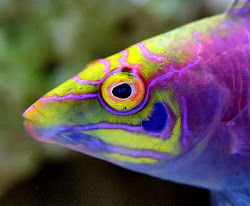 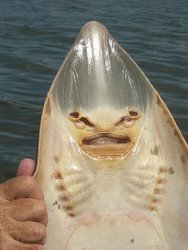 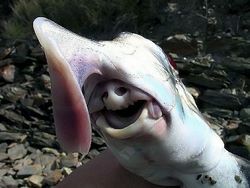 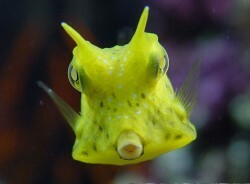 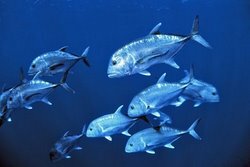 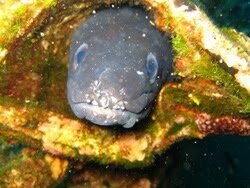 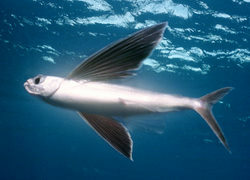 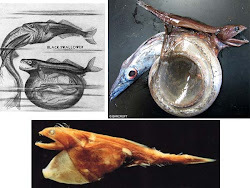 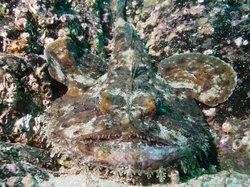 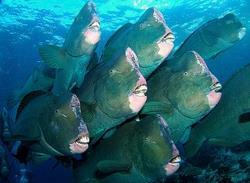 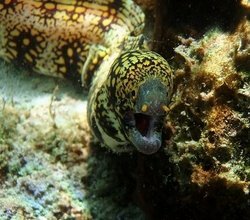 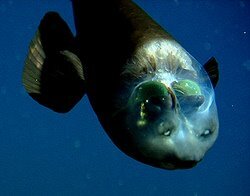 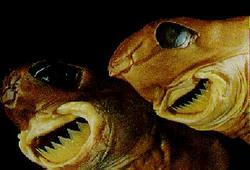 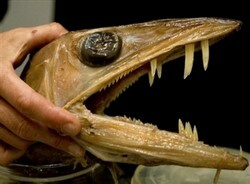 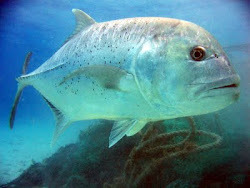 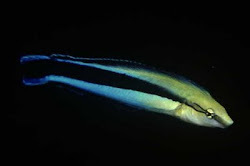 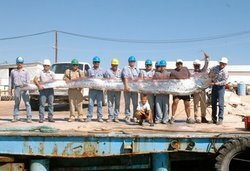 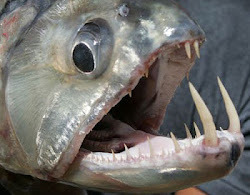 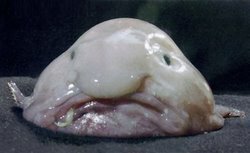 These fish are found in the wild around places like Hawaii and Australia. 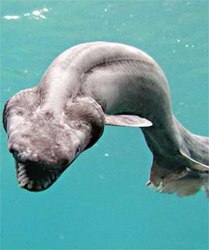 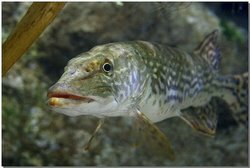 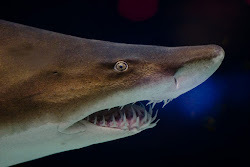 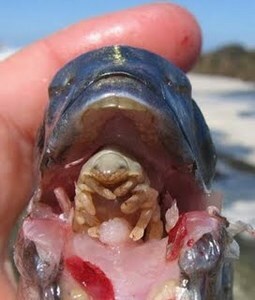 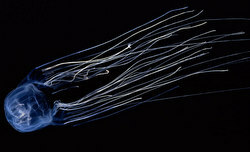 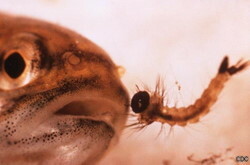 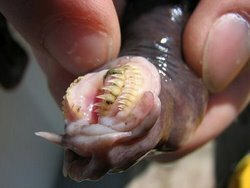 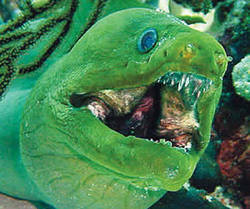 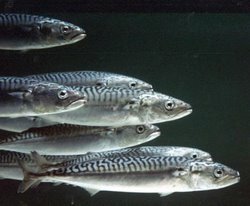 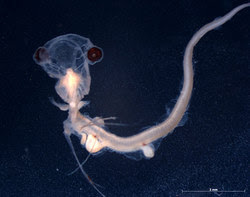 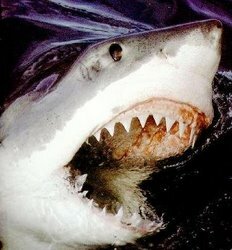 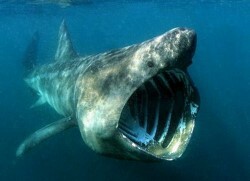 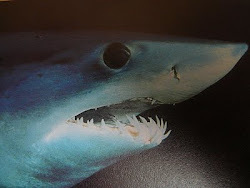 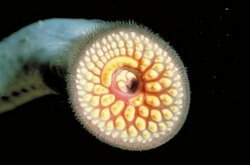 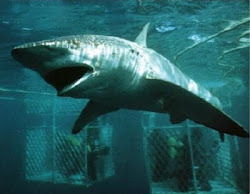 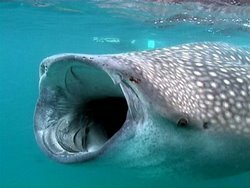 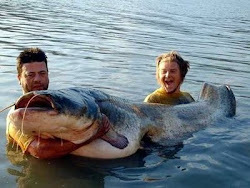 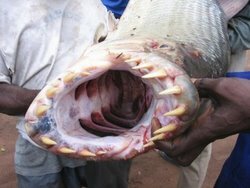 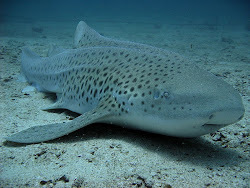 They are carnivores that feed on small fish and crustaceans. 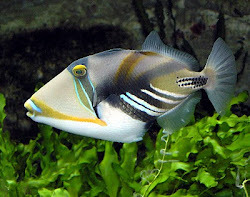 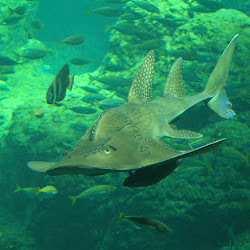 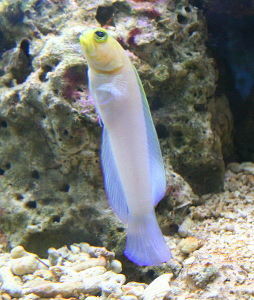 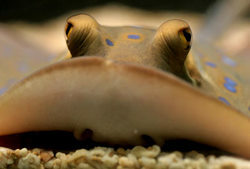 In an aquarium you can feed them marine meats, feeder shrimp and other meaty frozen foods.